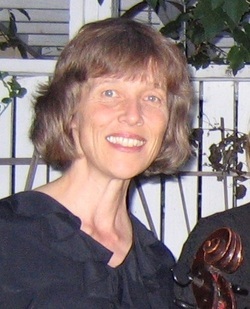 Cellist Anne Brennand is a member of the Boulder Philharmonic and the Greeley Symphony. She has also played in the St. Mary's Baroque Orchestra, Colorado Ballet, Cleo Parker Robinson dance, Denver Chamber Orchestra, Fort Collins Symphony, Cheyenne Symphony, Springfield Orchestra, Northeastern Philharmonic, Pennsylvania Ballet, Hudson Valley Philharmonic, and the Albany Symphony Orchestra. She has participated in the Domaine School for Conductors and Orchestral Musicians and the Peter Britt Festival Orchestra in Ashland, Oregon. Ms. Brennand holds a Master of Music in cello performance from the University of Colorado at Boulder, where she received the Denes Koromzay Chamber Music Award, and a Bachelor of Fine Arts from the California Institute of the Arts. Principal teachers have been Ann Marie Morgan, Judith Glyde, Ronald Leonard, and her father, Charles Brennand. She is a member of the Serenata String Quartet in Boulder, and teaches students of all ages.